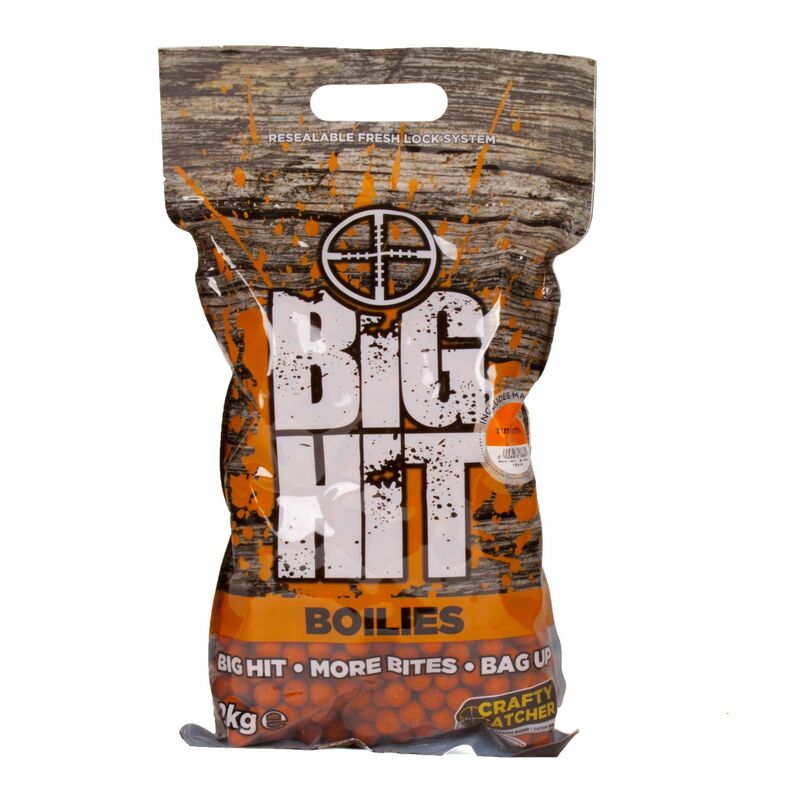 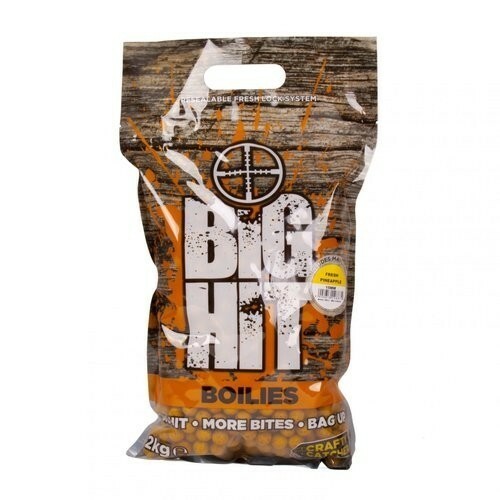 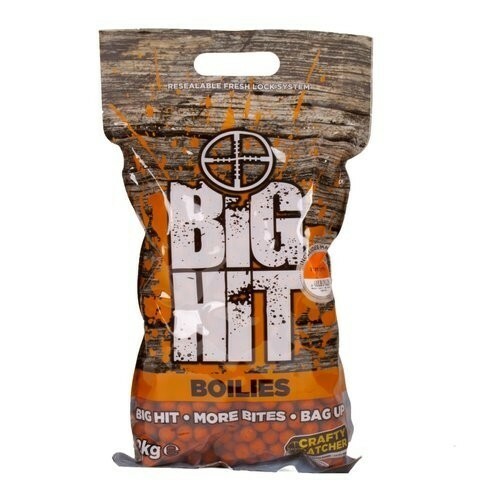 Big Hit 2kg boilies feature four new variations of the all time classic boilie flavors. 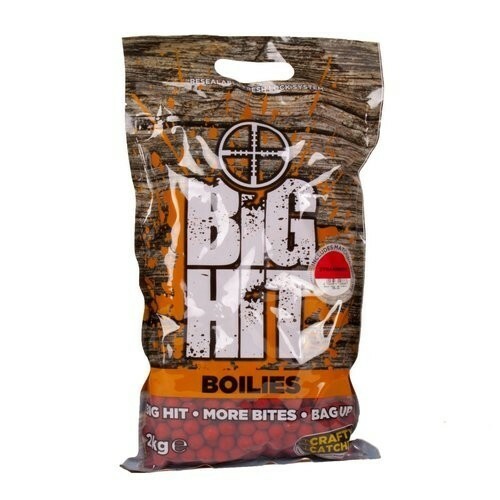 Strawberry Cream, Tutti Frutti, and Fresh Pineapple are now available in our new re-sealable carry out pack and include free pop up hookbaits. Perfect for weekends or trips abroad or any situation where you need a lot of bait.